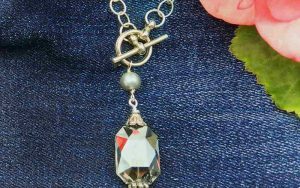 We fell in love with this crystal circle connector the first time we saw it. 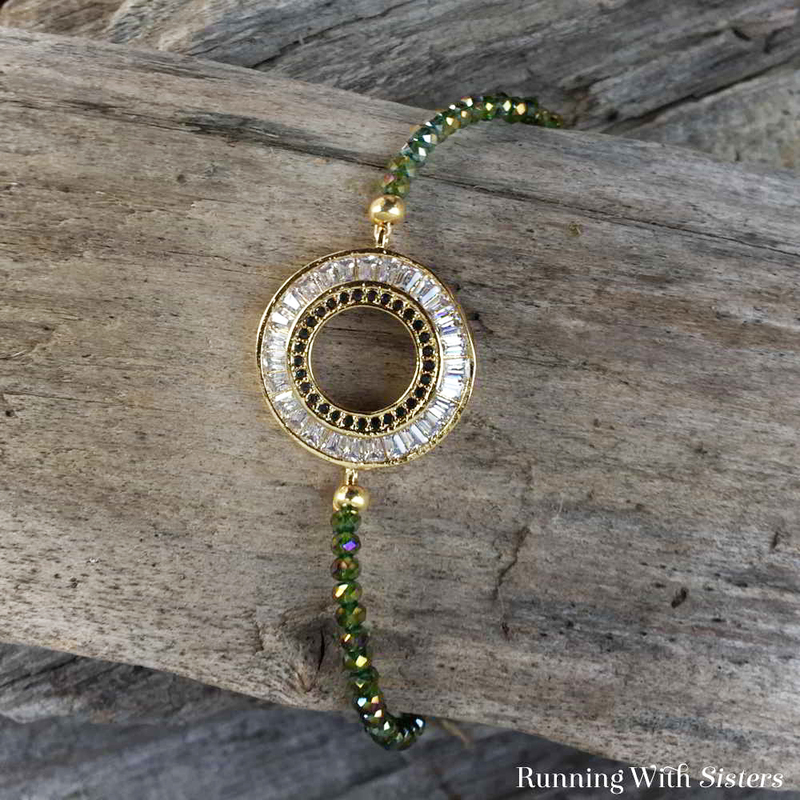 We held it up to a dozen colors of crystal beads to see what color to make the side strands, and these gorgeous olive green crystals really made it pop! 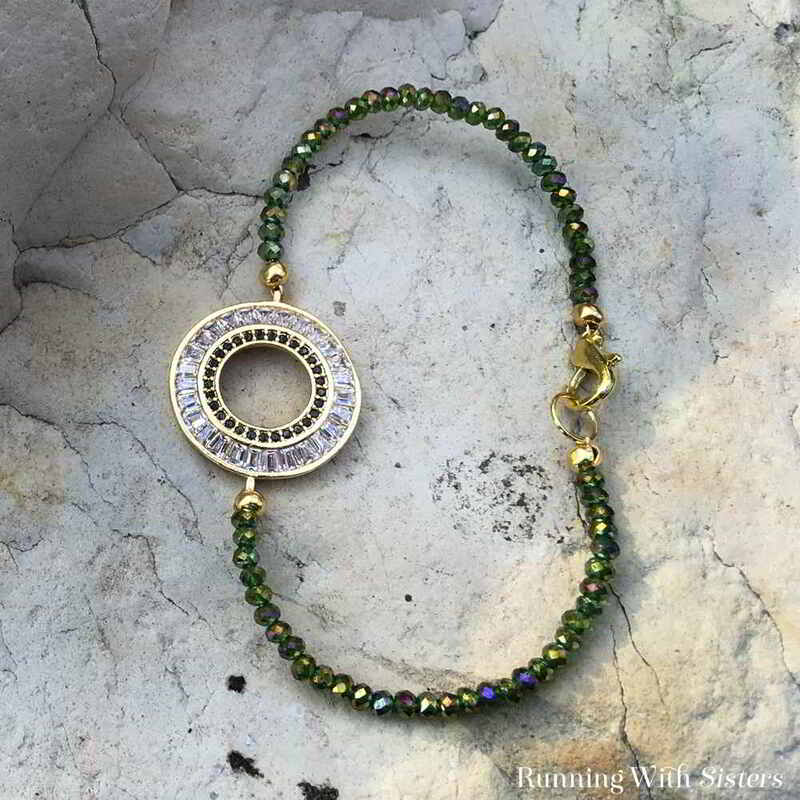 Here’s a video we made showing how to do bead stringing to make the sides of the bracelets with the faceted olive crystals and how to attach them to the crystal circle connector. Follow along then use the steps below to make your own. 1. 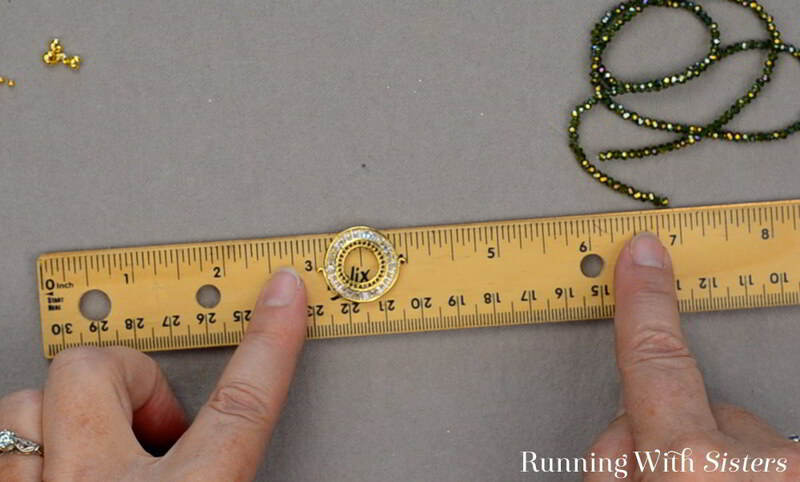 Determine the finished length you want for your bracelet. 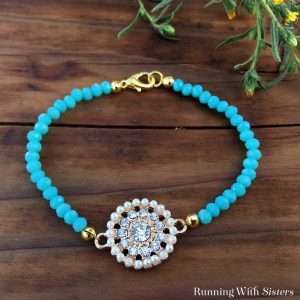 We like to just measure a bracelet that already fits. 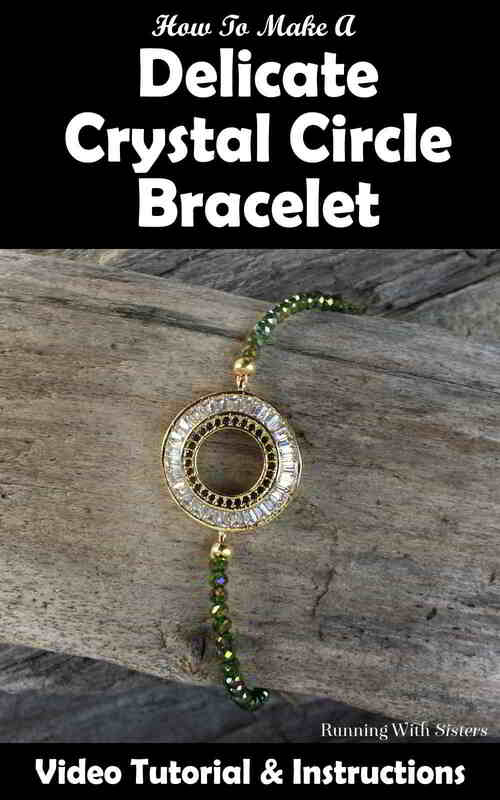 We are going to make our Delicate Crystal Circle Bracelet about 6 and 3/4″ long. 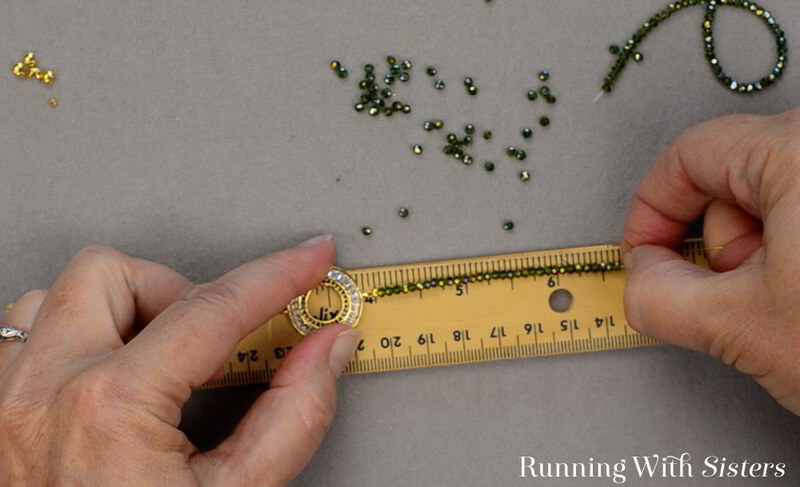 Set the crystal circle in the center of the finished length to determine how long the beaded sides will be. 2. 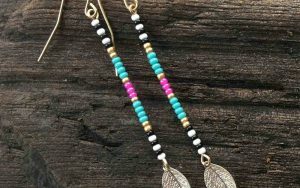 Cut a 7″ piece of bead stringing wire. 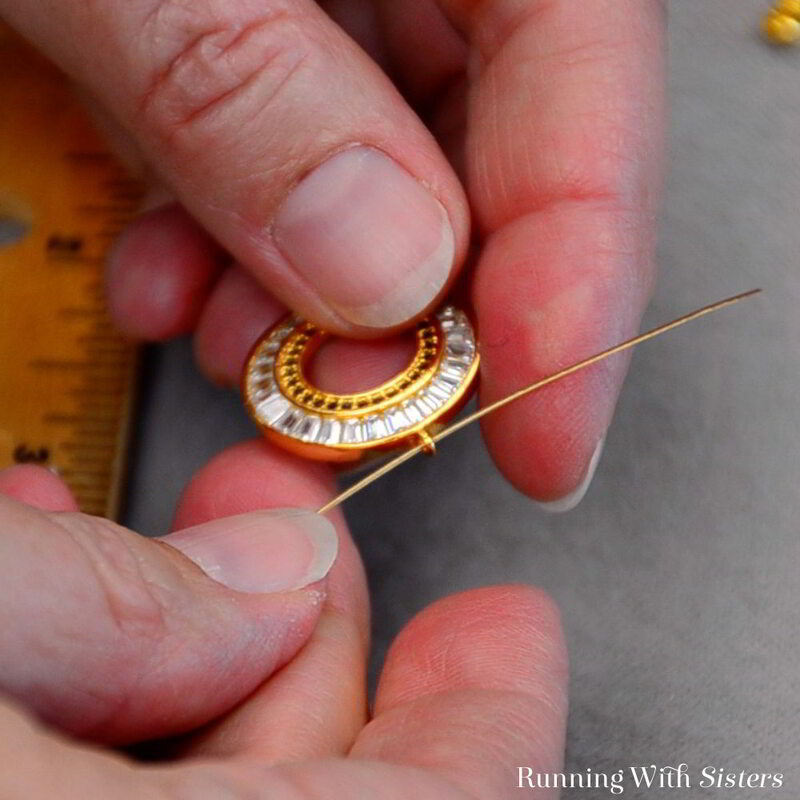 Feed a crimp bead onto one end and slide the end through one connector on the crystal circle. 3. 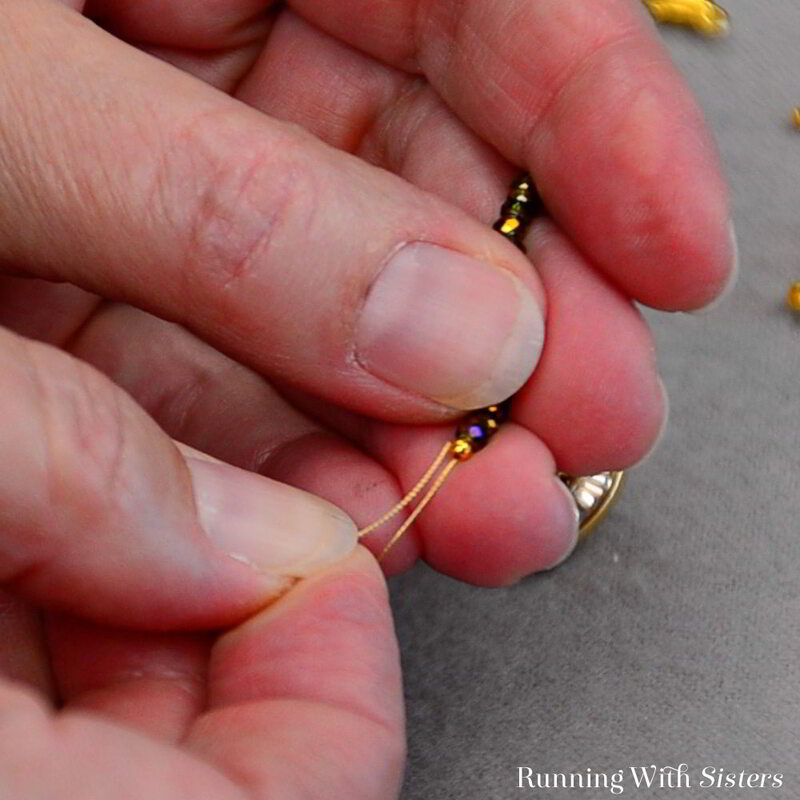 Bend the wire back on itself and back through the crimp bead. 4. Press tight up against the crystal circle. 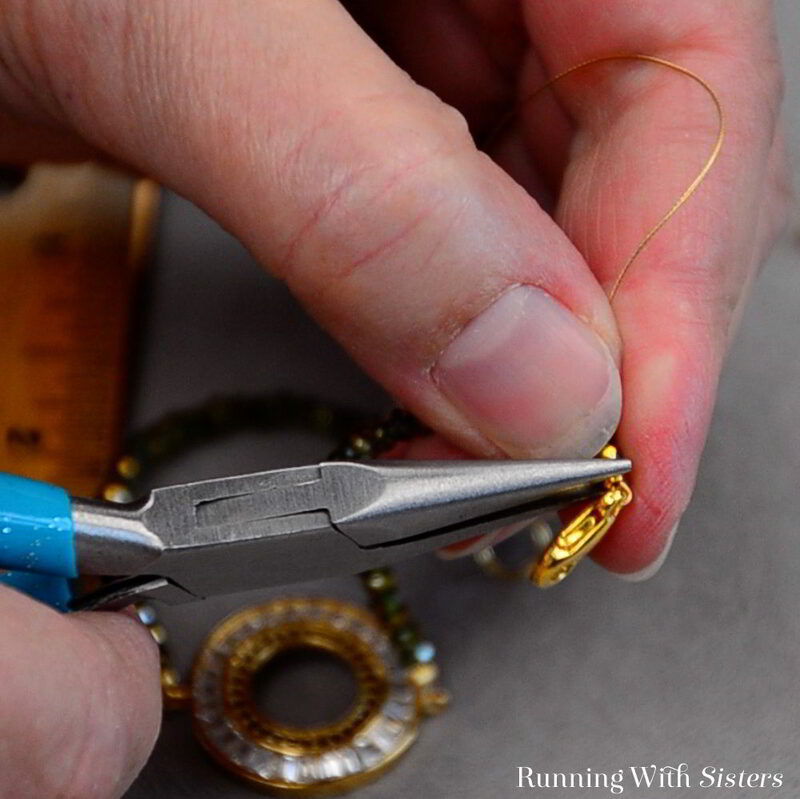 Press the crimp bead closed with the chain-nose pliers. Trim the wire with the wire cutters. 5. 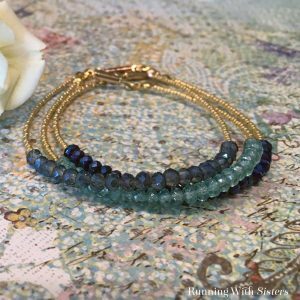 Feed the green faceted crystals onto the bead stringing wire. 6. 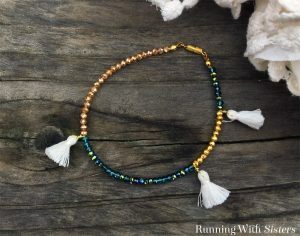 Feed on the beads until you have the length you want for one side of the Delicate Crystal Circle Bracelet. We are making each side about 3″ long. 7. 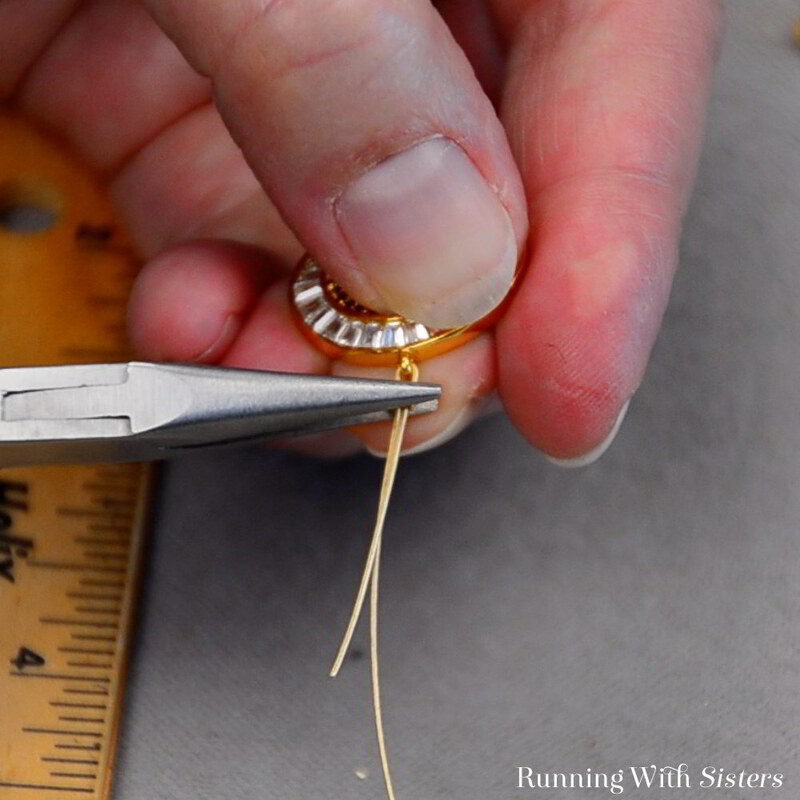 Feed a crimp bead onto the end of the wire followed by the jump ring. 8. 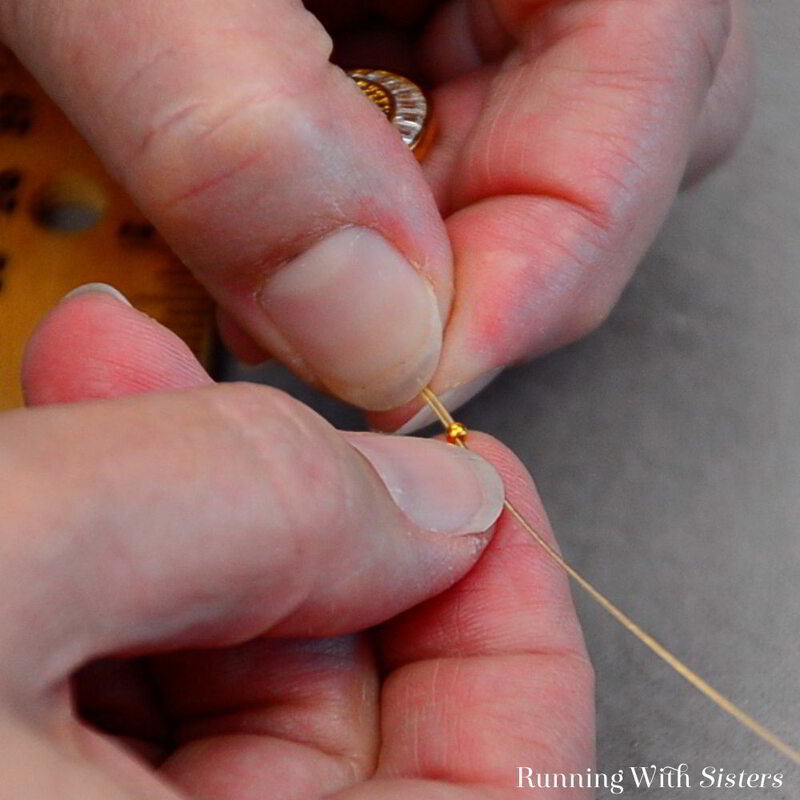 Then feed the wire back through the crimp bead. 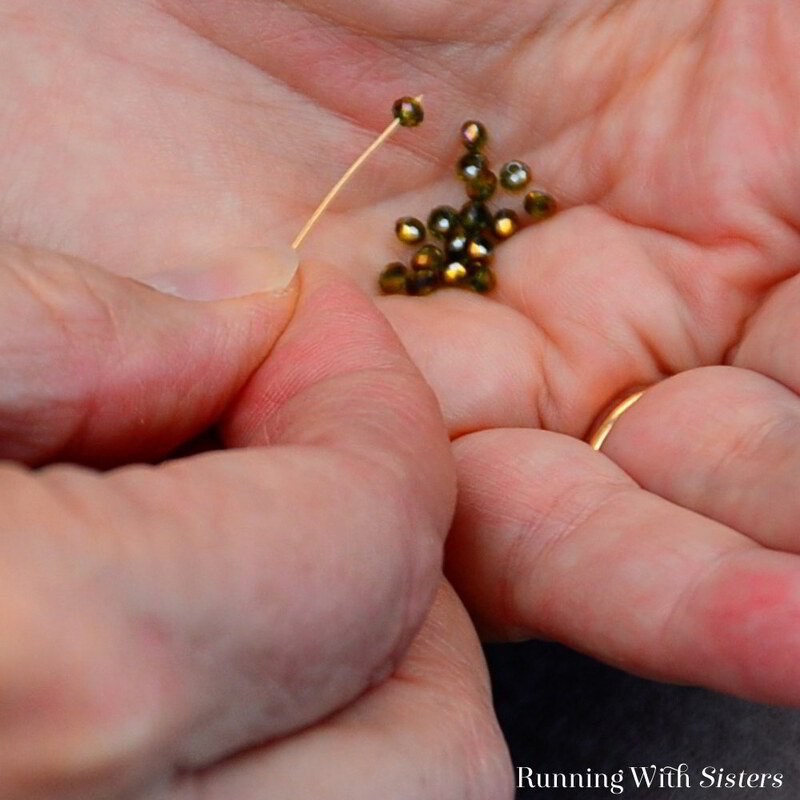 Pull it tight against the beads so there is no slack. 9. 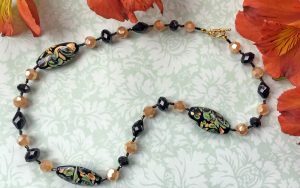 Flatten the crimp bead with the chain-nose pliers and trim the end with the wire cutters. 10. 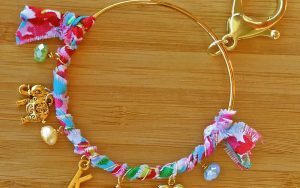 Repeat to make the other side of the bracelet, feeding on a lobster clasp instead of the jump ring. Isn’t that stunning!? That crystal circle is a star! 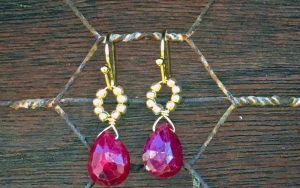 If you have any questions about this or any other jewelry making project, leave us a comment and we’ll reply. We love helping!